Micromax X510 Pike has been launched in India recently. It’s a full touchscreen phone with colourful back panels. The X510 comes with WiFi and Bluetooth and does not seem like a Dual SIM phone like the remaining handsets offered by the company. It has a 2MP Camera on the back. It has two keys in the front and volume keys and music key on the side. The phone plays Video and Audio files and supports Radio too via a 3.5 mm audio port. 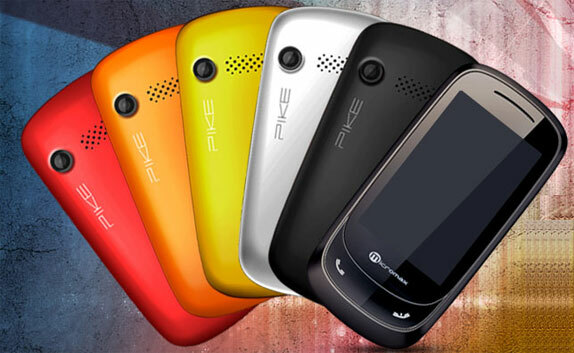 The Pike is powered by a 1500 mAh a battery is expected to offer 8 hr talktime according to Micromax. And its also have Wi-Fi. The X510 also comes pre-loaded with Opera Mini browser for fast web browsing. There is Nimbuzz chat application which is a free Instant Messaging application. There is Snaptu which lets you connect to social Networking websites such as Twitter and Facebook. For Email there is a Zenga application. The Pike is available in the market for Rs.7000 approx and will come with a complimentary leather pouch in the box.